ISLAMABAD: The federal government has released Rs233.4 billion against the total allocation of Rs675 billion under its Public Sector Development Programme (PSDP) 2018-19 for various ongoing and new schemes. The released funds included Rs86.5 billion for federal ministries, Rs111 billion for corporations, and Rs25.6 billion for special areas, according to a data released by Ministry of Planning, Development and Reform on Monday. Out of these allocations, the government released Rs101.46 billion for National Highway Authority out of total allocation of Rs185.2 billion, whereas Rs9.6 billion have been released for National Transmission and Despatch Company (NTDC) and Pakistan Electric Supply Company (PEPCO) for which an amount of Rs33.36 billion was earmarked under PSDP 2018-19. Similarly, Rs4.6 billion have been released for the Communication Division (other than National Highway Authority) for which the government had earmarked Rs13.97 billion under PSDP 2018-19. Railways Division received Rs8.07 billion out of its total allocation of Rs28.06 billion whereas Aviation Division received Rs443.5 million out of total allocation of Rs3.65 billion. The government also released an amount of Rs11.8 billion for various development projects of Higher Education Commission out of total allocation of Rs30.9 billion, while Rs10.2 billion have been released for Atomic Energy Commission. Water Resource division received Rs18. 7 billion out of total allocation of Rs77.9 billion under PSDP 2018-19. Moreover, the government released Rs2.2 billion for National Health Services, Regulations and Coordination Division, for which an amount of Rs10.9 billion were allocated under the federal PSDP 2018-19, while Rs195 million have been released for Pakistan Nuclear Regulatory Authority out of its total allocations of Rs285 million. An amount of Rs1.44 billion has been released for Finance Division out of its total allocations of Rs12.34 billion and Rs540.68 million have been released for Climate Change Division out of its total allocations of Rs802.7 million for the current year. Similarly, an amount of Rs9.3 million has been released for Petroleum Division out of its allocations of Rs463.2 million, Rs1.9 billion for Planning, Development and Reform Division out of its allocations of Rs7.03 billion, whereas Rs3.12 billion have been released for SUPARCO. Likewise, the government also released Rs11.17 billion for States and Frontier Region Division, Rs4.4 billion for Interior Division, Rs20.3 million for Human Rights Division, and Rs408.5 million for National Food Security and Research Division. 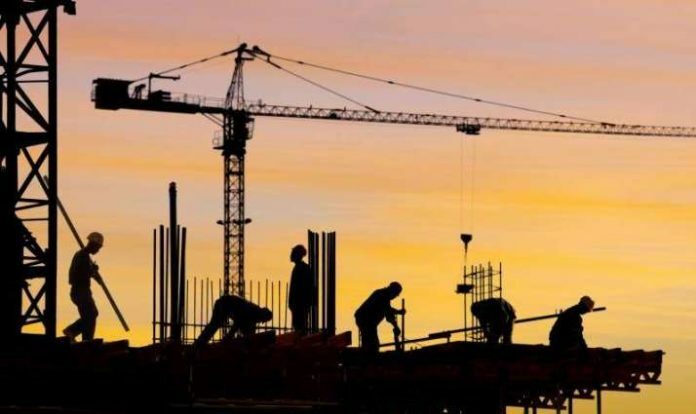 The government also released Rs17.15 billion for Azad Jammu Kashmir (block and other projects) out of its allocations of Rs25.8 billion, and Rs8.1 billion for Gilgit Baltistan (block and other projects) out of its allocations of Rs16.1 billion.